The Union Cabinet on Monday declared 10% reservation for economically weaker upper castes. This means that reservation in jobs will be eligible for those belonging to the upper castes who are earning less than Rs 8 lakh per year. 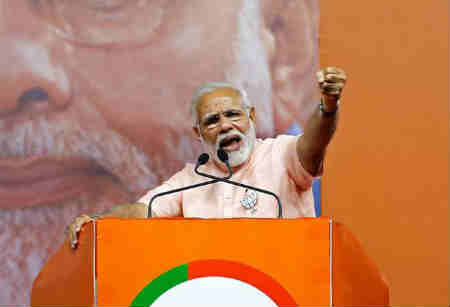 The timing of the announcement before the 2019 General Elections could play a big role in favor of the Narendra Modi government. Experts say the NDA government has played its biggest electoral card since its formation in 2014. Upper-class castes have also hailed the decision, which was a long-pending demand. The move is likely to invoke strong reactions from Dalit intellectuals and opposition parties such as the Mayawati-led Bahujan Samaj Party, Akhilesh Yadav’s Samajwadi Party and the Left parties as it will eat into the current reservation system. The Supreme Court has capped the quota for caste-based reservation for government jobs at 50%. However, the PTI quoted its sources as saying that the quota would be over and above the existing 50% reservation cap imposed. The government will move a constitutional amendment tomorrow to push for 10% extra reservation for economically deprived sections among general categories. The BJP's parent organisation the RSS worldview has always maintained that reservation should be along economic lines and not only along caste lines.